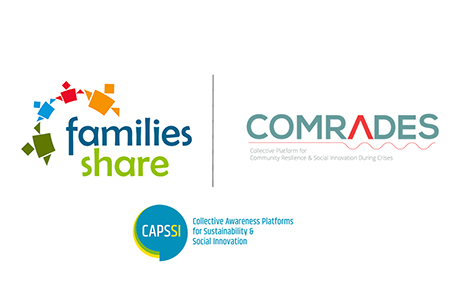 The communication teams of Families_Shares and COMRADES are pleased to announce the beginning of their collaboration in promoting and communicating their projects’ outcomes. Taking into consideration that both projects are under the CAPS umbrella, this synergy aims in further deploying already available networks and jointly establishing new. 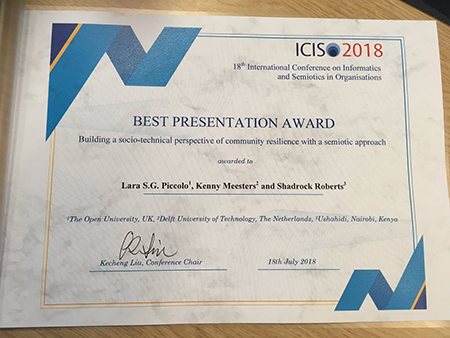 Our partners Lara Picolo (Open University, UK), Kenny Meesters (Delft University of Technology, The Netherlands) and Shadrock Roberts (Ushahidi, Kenya) won the award of the best presentation at the 18th International Conference of Informatics and Semiotics in Organizations (ICISΟ 2018) for the COMRADES presentation: “Building a socio-technical perspective of community resilience with semiotic approach”.